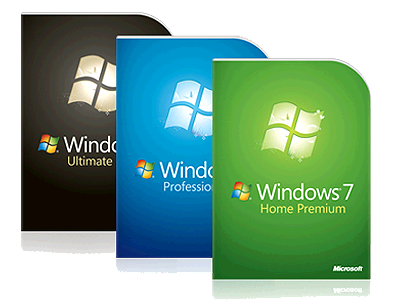 As the most recent release in Microsoft’s line of Windows operating systems, Windows 7 has provided users with an improved Windows experience over all previous versions, especially the lackluster Windows Vista that received its fair share of criticism. Just like every other PC and operating system, however, you will notice some decrease in performance over time. It doesn’t matter how fast your processor is or how much memory you have or how big your hard drive is, every computer will experience this. Even Windows 7 PCs. Despite this, there are steps you can take to improve your Windows 7 experience and keep your computer in great shape. You can perform these tasks without having to spend any money to purchase hardware or software.case you can optimize your PC without having to purchase and install new hardware. As one of the primary free computer maintenance tools that we recommend, you should always remember to defragment your computer’s hard drive. While you may think it’s okay not to because you’re using the latest and greatest Windows 7 operating system, it is equally important to defragment your hard drive no matter the version of Windows. Every computer that is regularly used will experience jumbled file locations for programs. It’s inevitable, as new programs are installed and files are deleted and replaced. By performing disk defragmenting, you re-organize all of your files and data on your computer including those necessary to open software, photos, videos and documents; all in a way that your PC can access more easily on your hard drive. Sorry for the alliteration, but excess software is one of the primary reasons we experience a decrease in computer speed, since we constantly install more programs over time. Think about all of the programs that you downloaded only to try or use a few times. Browse your Start menu and see how many of the programs there you actually use regularly. All of this unused software just takes on space on your hard drive and slows down your computer. Go through and uninstall any programs that you haven’t used in over 60 days. Chances are you don’t really need them if it has been this long. Even just removing a few is guaranteed to help you notice an improvement in your computer performance, like it’s getting younger. Rebooting your computer wipes your system memory (RAM) clean and allows your computer to run more efficiently. It’s like starting from a new slate. One of the big complaints about Windows Vista received was the slow PC start-up times, as well as slow reboot times. Microsoft has now addressed this issue with Windows 7, which provides much faster loading performance. Take advantage of this improvement by regularly rebooting your system and starting from a fresh slate. If you leave your computer on for too long without shutting down or restarting, you build up a lot of data on your system’s memory which results in decreased performance. It can slow down your Internet speeds, your program load times, and many other aspects of your computer performance. At the very least, you should consider rebooting 3 times a week or more, depending on how much you use your PC. If you have other tips that can help improve the Windows 7 experience and keep your computer running better and longer, feel free to share in the comments below.